I love mosaics. Glass, eggshell, tile and of course paper. Here is a paper mosaic take on a project from last year. It's like a jigsaw puzzle that you get to design. 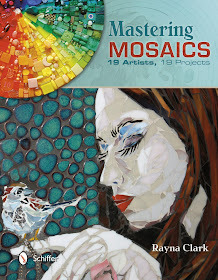 I also want to introduce you to this new book, "Mastering Mosaics" by Rayna Clark, published by Schiffer. It profiles 19 artists showing their design process and step by step directions for 19 corresponding projects. There are lots of tips and new techniques to learn along the way. The photos are very detailed and I can't wait to try out the mosaic sculpture that is presented using Styrofoam and plaster strips as a base. You can enter for your chance to win a copy of this book at the end of this post. Using oil pastels make some stripe, wiggly lines, on your drawing paper. Paint over your lines with orange disk tempera paint. Take another piece of paper and paint orange, let dry. 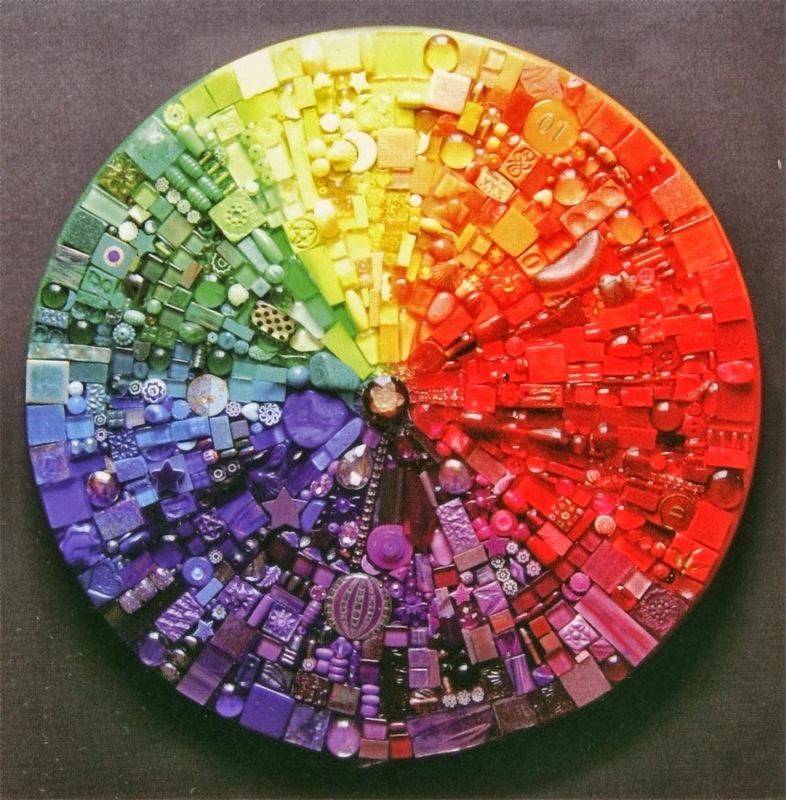 Take a piece of bubble wrap, paint with yellow acrylic or liquid tempera. Press onto the orange paper you painted. Look at that gorgeous texture the print adds! Paint another piece of paper with yellow tempera. Take a disposable foam brush and cut a notch out of it. Using orange acrylic or liquid tempera use your brush to paint on stripes. Take a piece of black paper and draw out your pumpkin shape in white crayon. Take your painted papers and cut into strips. Cut each strip into shapes, triangles work well. Using glue or Mod Podge start gluing on your pieces. Let them hang over the edges as you will trim them afterwards. Leave some space between pieces so the black shows up like the grout. Flip the shape over and trim off the excess. Add eyes and a mouth with leftover paper. Mount on a coloured background and add some oil pastel accents. 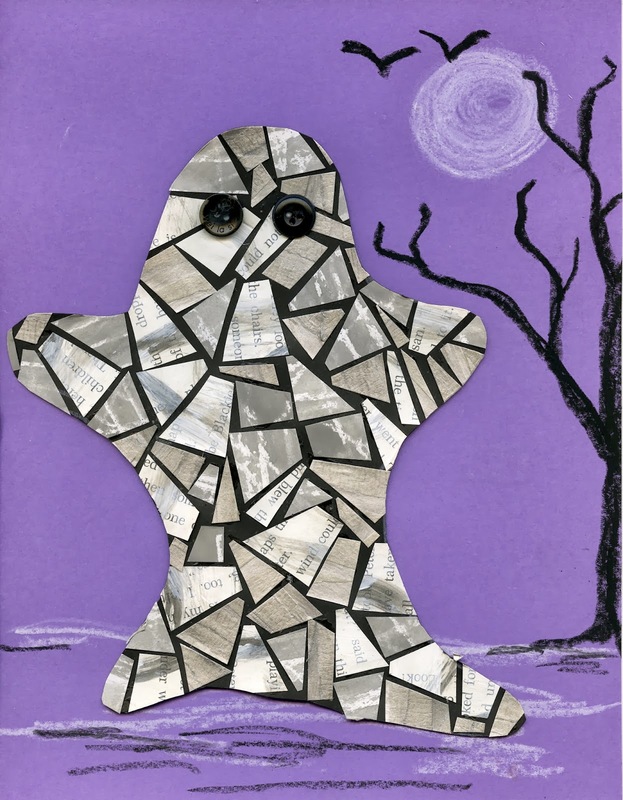 Here's a ghost made with painted book pages, painting over masking tape on paper, and a crayon resist paper. Up for grabs is "Mastering Mosaics" by Rayna Clark. published by Schiffer, 2013. Contest closes on Friday Oct 25th/13 at 11:59pm. Canadian and US residents only. Disclaimer: Review and Giveaway copy provided by Schiffer Publishing. Love this. The use of different styles of paper really adds to the overall effect. I will use this idea with my kids. I love your whole site! Whenever I am looking for new ideas and fresh perspective I just come straight to you, thank you! 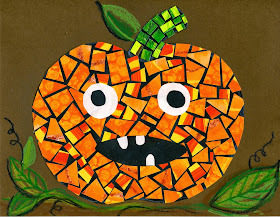 I really like this idea of mosaic pumpkins. My classes are going to love it! Fun post-- need to do this with my grandkids! Id love to win the book, by the way. I think I need to check this book out. I have all the supplies but have been away from mosaics for too long. 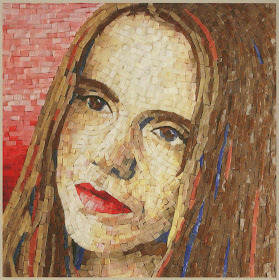 I love mosaics very much since a baby-age! :) Would love to enter to win! And thank you for all the inspiration! I would love to win this book. 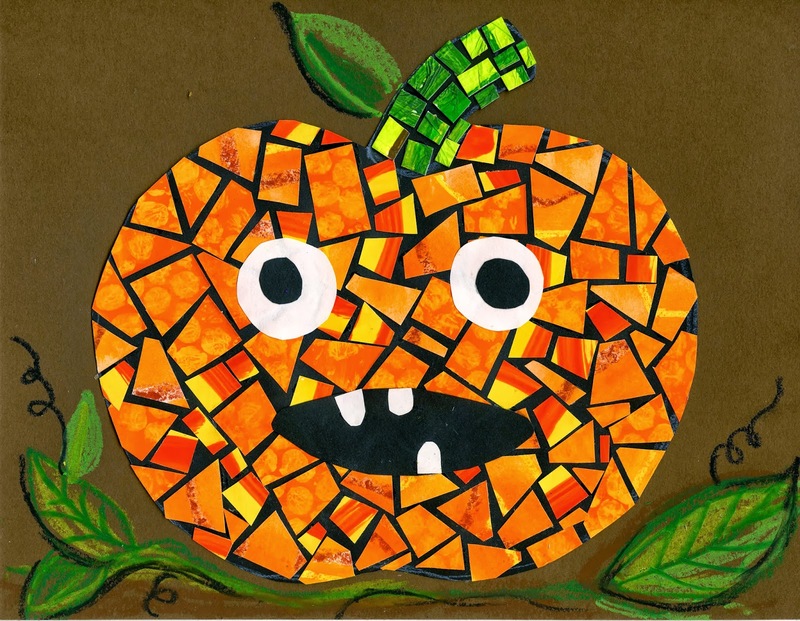 I am going to be making these pumpkins with my class this week! I saw beautiful mosaics in France - beyond beautiful. Awesome! Would love to win this book. Thanks for all your great ideas. Your site is inspirational! I love your tutorials and have used a few with my kindergarteners. Thanks for sharing and for this great giveaway! It's fantastic. I like the ghost very much!!! I love your paper mosaics....and the book looks awesome! thanks for being so creative and sharing it with the rest of us! That pumpkin just makes me laugh! I'd love to win this book -- thanks for the chance. You always have such great ideas, and I find your how-to's very, very helpful! Thanks! Love this , great ideas, lots of fun. Love this idea. I was looking for something different to do. 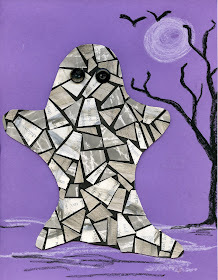 I would love to do mosaics in class, so am keeping my fingers crossed. P.S. The book would be well used in my classroom! Love your pumpkins, Gail. Mosaics are always so beautiful. Just found your blog -- amazing work! Thanks for showing & sharing.